Abstract: Butyrylcholinesterase (BChE) is an enzyme expressed in multiple organs and abundant in plasma. BChE can fluctuate in course of several reasons while both hypercholiensterasemia and hypocholinesterasemia are known. Considering evidence of BChE activity alterations, hepatocellular carcinoma, chronic liver diseases and poisoning with carbamates or organophosphates can be diagnosed by activity assay. BChE is responsible for detoxification reactions, and the compounds such as cocaine, succinylcholine, and acetylsalicylic acid are degraded in the body. The detoxification can be slowed in patients carrying the K variant of the enzyme. 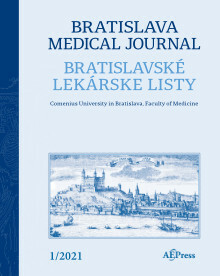 Summarization of literature, discussion on the meaning of BChE in the body, and the principles of BChE assay in samples are described in the review (Tab. 2, Fig. 8, Ref. 86). Keywords: butyrylcholinesterase; acetylcholinesterase; liver function test; organophosphate; carbamate; poisoning; dibucaine number; Alzheimer´s disease; BChE; AChE; K variant.